In a BIGSOUND first, BEMAC and QMusic joined forces to deliver a full BIGSOUND experience to three emerging Brisbane artists of refugee background. BEMAC Director Evan Alexander said as the arts arm of refugee resettlement agency Access, the opportunity for BEMAC to empower three emerging artists of refugee background to experience BIGSOUND, make industry connections and gain insight into the music business through the various workshops, panels and discussions on offer throughout the festival and conference was invaluable. “In line with our parent organisation’s mantra ‘creating equal opportunities’ we were stoked to be able to provide these three very deserving emerging artists, who have overcome enormous obstacles in their lives, the amazing opportunity to attend BIGSOUND 2018 as event delegates,” Mr Alexander said. MAWiEN was born in Khartoum, South-Sudan. After a traumatic childhood spent in African refugee camps, he arrived in Australia with his mother on a humanitarian visa at the age of 11. “My passion for music didn’t really start until after I had learned English, and could understand the music that was playing on the radio,” Mawien said. Inspired by Michael Jackson, James Brown, Marvin Gaye and more contemporary R&B / Pop artists such as Bruno Mars, Mawien started teaching himself how to play the guitar, watching Youtube tutorial videos on how to sing, and studying vocal coaches and researching vocal practices. With his newfound vocal ability, Mawien began writing and recording original material, which he uploads to his Soundcloud page. His first public performance was at a major tournament in Adelaide, where the budding musician placed second. “I took away a lot of inspiration and confidence from that tournament going on to perform at couple of venues in Brisbane’s Fortitude Valley and fashion shows held by close friends of mine who are establishing themselves in the fashion design industry,” he said. For Mantist, receiving the news of the BIGSOUND Scholarship was the highlight of his week. “It was the greatest news and I truly felt recognised on a bigger level,” he said. Like MAWiEN, Mantist was torn from his South Sudan home at the age of four. Forced to spend nine years in two refugee camps, Mantist was resettled in Australia with his three brothers and single mother. A gifted writer and spoken work artist, Mantist soon developed a sizeable body of work, exploring the experiences he and his family had endured as displaced people, surviving in refugee camps. With hard work and an undefeatable passion for developing as an artist, Mantist produced his first EP Out of Poverty into the Glory in 2009, with the support of an underground label representative. It sold 1000 printed copies and 350 digital sakes in its first year and was described by many as inspiring and eye opening. 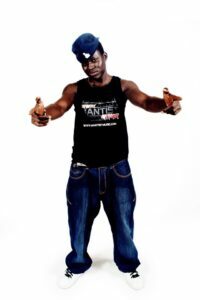 By 2011, Mantist has written eight books of rhyme, and earned his diploma in Sound Engineering from SAE Institute. He has been a two-time finalist for a Queensland Music Award (QMA) in the category of Best Song Writing, as well as a finalist in the Australian Poetry Slam. Growing up as a refugee in Uganda, Alutondo is a legend in the making. 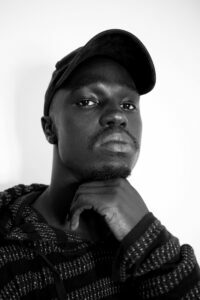 Music was the salve that helped the South Sudanese artist survive the despairing days and nights of his childhood. After facing numerous obstacles before being granted a humanitarian visa to resettle in Australia at the age of 12, Alutondo said with zero English skills, his dreams of a career in music seemed altogether hopeless. 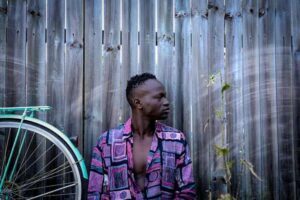 Yet the now 20-years-old, was able to summon the passion and confidence deep within him to build his musical portfolio, which pays homage to the popular African dance-hall styles he grew up with, and which he said is in his blood. His latest track “Nyanina” was released on Youtube on 22 July this year and has already racked up over 4000 views. “When BEMAC informed me that I had been granted a scholarship to attend BIGSOUND 2018, it sounded like an once-in-a-lifetime opportunity to reach out further,” he said.